JW Rufolo and Associates, Inc. was formed by former OSHA Deputy Regional Administrator, Joseph W. Rufolo. Mr. Rufolo brought to life his vision of creating a company unique in serving general industry, construction, and government agencies by providing a full range of OSHA compliance services. In today's business world, compliance is not an option, but a fact of life. Strict regulations and tough enforcement of Federal OSHA rules and regulations make compliance difficult and sometimes impossible. 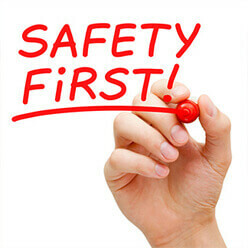 JW Rufolo and Associates, Inc. provides safety, health, and environmental compliance solutions. Our unique staff of experts, unmatched by anyone, includes former OSHA Compliance Officers, construction and chemical safety directors, engineers, safety professionals, industrial hygienists, risk managers, and a wide range of support personnel fully capable of providing total OSHA compliance services. From conducting OSHA certification training courses, to establishing safety and health programs, our professional services have helped hundreds of companies save millions of dollars in fines and to comply with virtually all OSHA regulations. Our response time to industrial accidents and OSHA inspections is immediate, and our ability to take control of any situation is unparalleled. All projects are managed by Joseph W. Rufolo. His 40+ years of diversified safety and health experience ensures the highest level of service and expertise.